Why do I like Close To My Heart Workshops On The Go? They make me look good, or at least my layouts look good. I can be a good teacher when I have good teaching materials!! That means YOU can be a good teacher too. 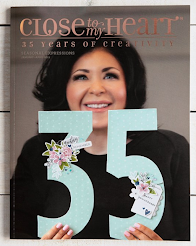 Just sayin'..
Close To My Heart offers 7 beautiful workshop kits in the Spring/Summer 2014 Idea Book. I love these kits! 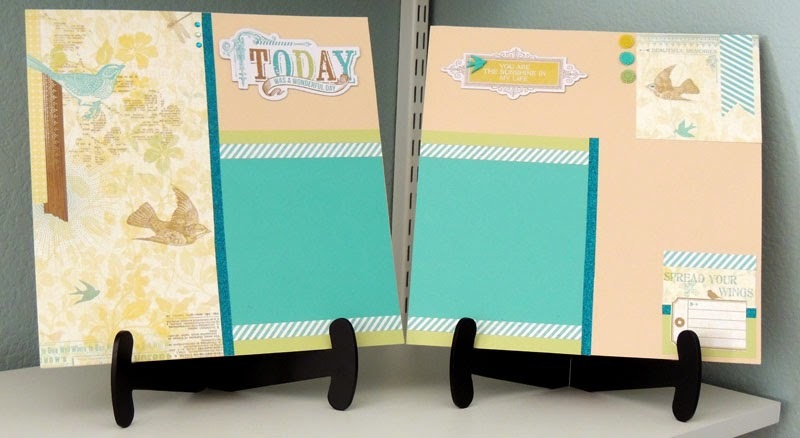 In each theme in the Idea Book are complementry Stickease, stamp sets and embellishments. So, when I first started on this ummm hobby (LOL anyone who scrapbooks knows it's a little more than that) but I digress ( as usual) what was i going to say? Oh yeah, I didn't want to stamp. The neurosis started with a crooked image, because I couldn't see what I was doing (you know what I mean). I am not a perfectionist by any stretch but I don't like things so crooked they make me dizzy. For a long time I just did stickers and mats. I was convinced to try the stamps because my group was doing it. OK a challenge always brings out the "Oh Yeah" in me, I guess that's the New Yorker remnant left. 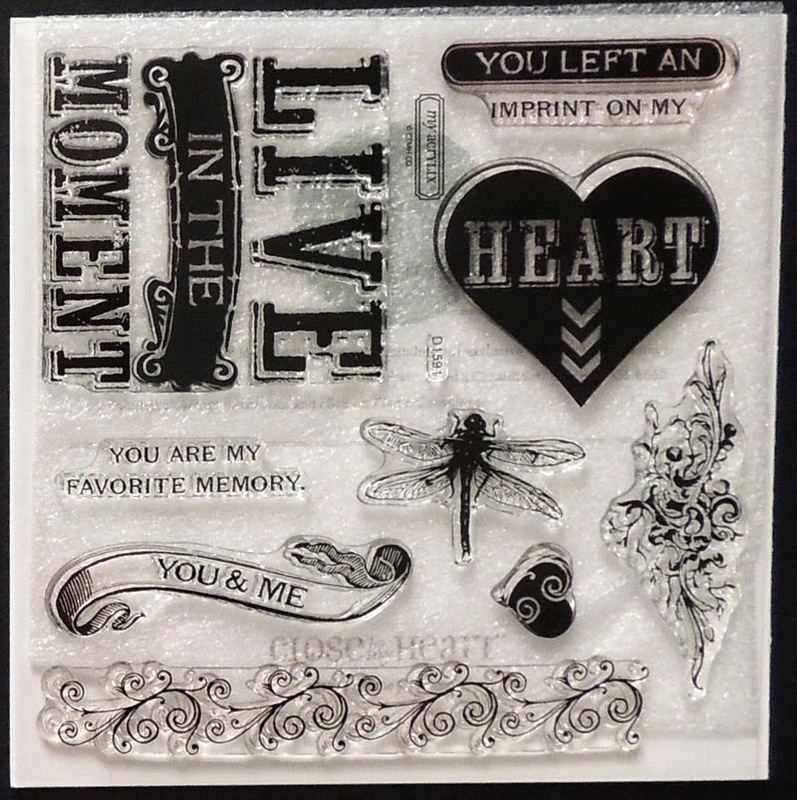 Not only could I stamp a straight image through the clear block and clear stamp, but if I didn't use even pressure and my stamping had incomplete parts in the ink, I could stamp over the first image perfectly, and end up with a completely perfect image. AND THAT's with the EYES of a NON-young person. What Can I make with a Workshop On The Go? Layout 1 This is the Skylark layout from WOTG. There is distressing on the edges of the picture mats showing the white core of the cardstock. 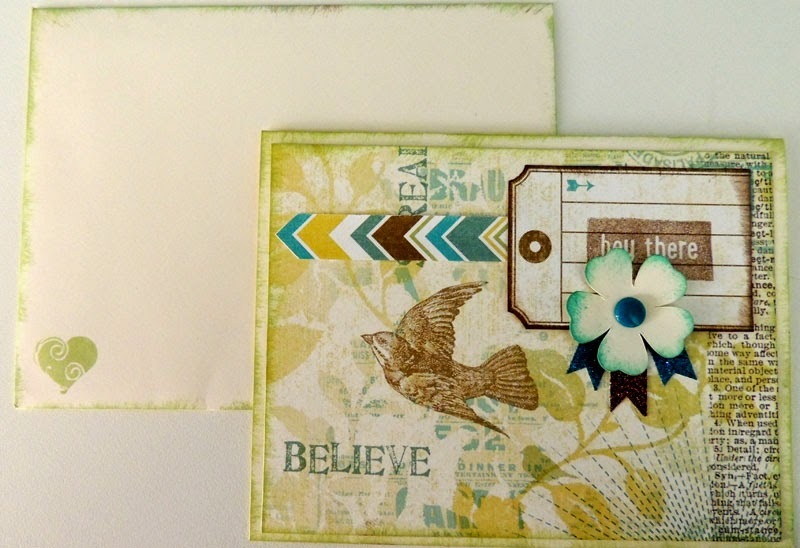 The decorative 1/2 " strips at the bottom are zip strips off the B&T papers, so easy! The heart stamp in Slate in (z2173) serves as a title for the layout. This layout is so versatile for so many of your family and kids pictures. Love it!! 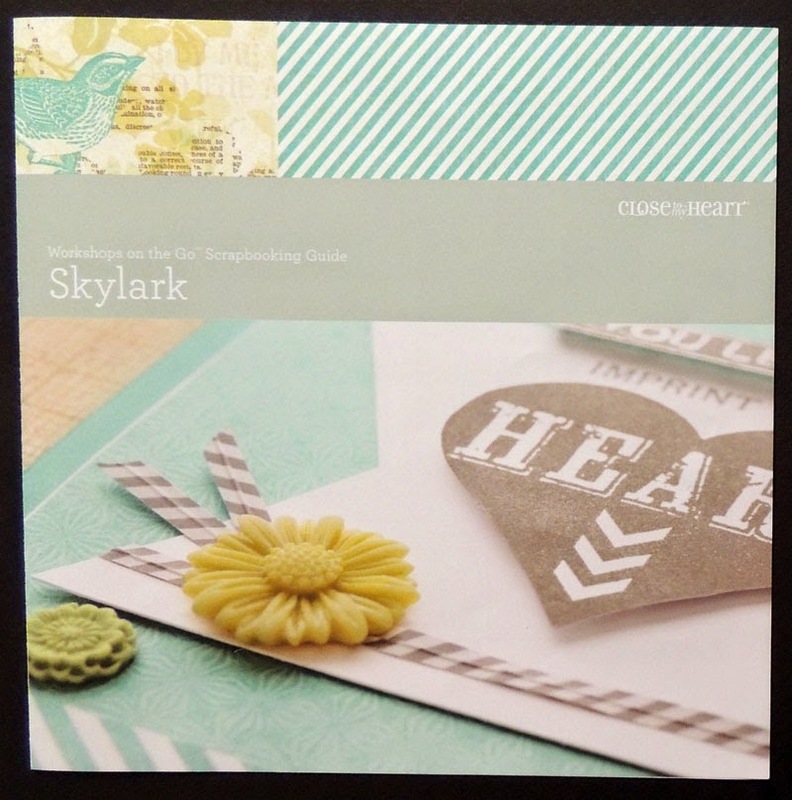 This is a Skylark layout with no stamping. The lagoon cardstock are 6x6, the B&T bird paper is 6 x 12, the square in the upper right is a 4.5 x 4.5 piece that has the printed stripped banner on it and the larger bird is cut out from a scrap of the B&T. So easy to do and my club ladies loved it. Yay!! Here is a Skylark card. 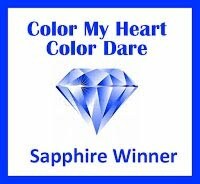 The card and envelope are colonial white and I purchase the value pack of 4 1/4 x 5 1/2 of 50 cards and envelopes for $14.50 (x1410). I am always ready to make a card for any occasion. 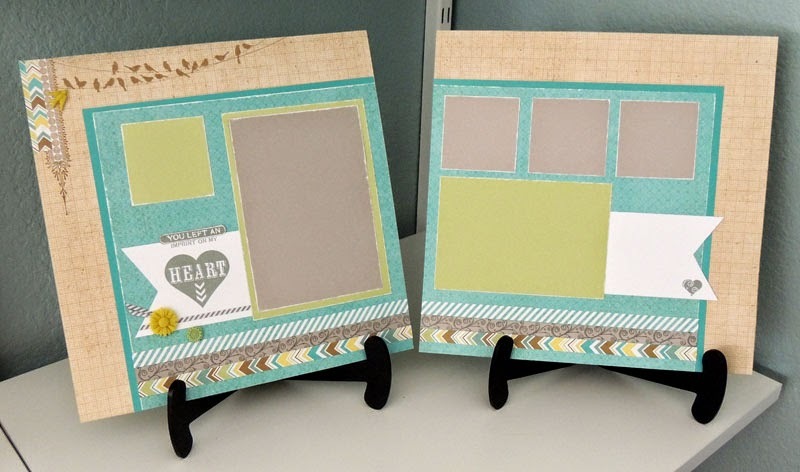 For $0.34 I have a card then I use any remaining papers, embellishments, ribbons, trim, etc. from my workshops and start creating. This card was so easy. The skylark paper was already printed with the bird and words. I cut out the tag from the Skylark paper, the chevrons are a skylark zip strip, the flower was cut on my Cricut using the Art Philosophy cartridge (z1686), the flower center is an Aqua Dots (z1853), the little flags coming from the flower are the Teal Shimmer Trim (z1918) and Bronze Shimmer Trim (z1849). I did the distressing in Sweet Leaf ink (z2153) and Chocolate ink (z2111). Note the envelope is also has sponged distressing and a heart stamp from the Skylark stamp set. Remember the stamp sets from the all the workshops are ONLY available when you purchase the Workshop On The Go. This stamp can be used for so many different purposes. Just think of the uses here: I can see a Valentines card or page, summer friends (dragonfly and "You & Me" ), a pretty border... whatever your imagination conjures up. There are just, oh, so many reasons to love Workshops on the Go! !